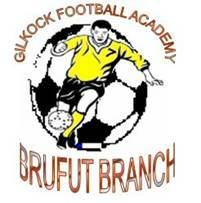 Twenty-four Interns From Gilkock Benefitted from a Soccer Summer Camp. 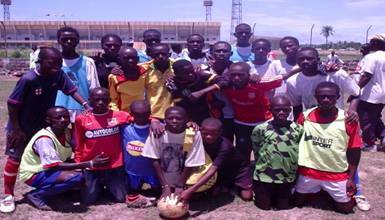 Twenty-four interns of Gilkock Football Academy were among 100 players drawn from the length and breath of the country to participate in a six day soccer summer camp organized by the Gambia football coaches association in partnership with the Gambia football association for player age 8-14 Sang Mendy Public Relations Officer told www.gilkock.com. Mendy said; “when the program was design by the Gambia football association and sold to the public, we urge our players to buy the forms so as to participate in this summer camp. Though Gilkock does the same at their training it is important for the players to go and experience different training programs and be trained by other coaches and also come into contact with players from other places”. On his part Buba K Jallow, Technical Director of the academy said such a program was long overdue as it provides his player and coaches to meet new coaches and work with new set of interns from other academies. “It was like a learning forum for both the players and coaches” Buba added. Buba Charty one of the players who benefited from the summer camp told www.gilkock.com that he and his friends have benefited a lot from the coaches and has learnt from their colleagues during the summer camp as well.